Finally Alfred Boland gave me the words “dood, Ubu, white”. Ubu was a close friend of Alfred, who died a few weeks ago. This drawing was easy, but i always hesitate to make drawings that show beliefs. 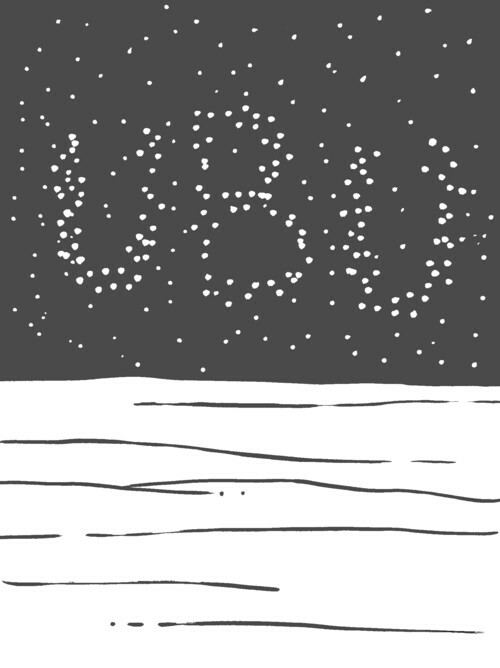 In this case, i made the stars from the word Ubu. That is based on the idea that we become stars after we die. I don’t believe this idea, but i totally love it. It came to me in a deep meditation, but i later learned that some ancient cultures already had this idea, so i guess i picked it up from a book and then forgot about it. The idea is that we are stars, and that this life on earth in a physical body is just a game, that lasts only a flash from the standpoint of a star. In our language there are many expresions that seem to point to this idea. As if our unconscious mind is telling us the truth. Especially in songs, the word “star” is often used in a way that fits this idea so perfectly that it is hard for me to listen to songs without being reminded of this idea. 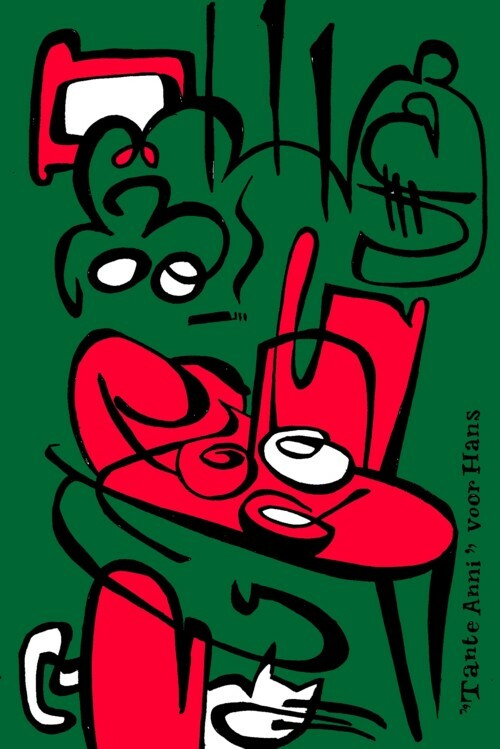 When i once told this idea to my brother, he said that in Dutch the word “ster” in the word “sterven”. That puzzled me completely. Synchronicity can drive people crazy.